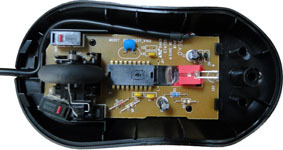 Computer mouse helps to navigate through graphical interface applications. Having a good and ergonomic mouse is essential for a daily task done by a computer. This article tells about mouse and the technology behind the scene. It is a device used for computer input. It points and click on icons, menus, command buttons or activates something on a computer. The GUI (Graphical user interface) of current applications and programs are user friendly and easier to navigate using computer mouse. The purpose of mouse is to convert your hand movement into a usable computer format. When the mouse is moved, this movement rolls a ball found inside. You should put the mouse on flat table or mouse pad in order to move. The two axles (represent the X and Y direction) will turn as a result of the rolling ball. Each axle connects to wheel (resembles like a gear) which spins when the axle rotates. Beside each rotating wheel, there are an infrared LED (light-emitting diode) and infrared Sensor. The LED sends a path of light to the wheel. The sensor, found on the other side of the wheel, detects the pulses of light interrupted by rotating wheel. The mouse on-board processor chip reads the pulses from the sensor and translates into computer usable format (binary data). This tells the mouse position and speed which is displayed in the movement of a cursor on a screen. This kind of mouse is called Optomechanical mouse. 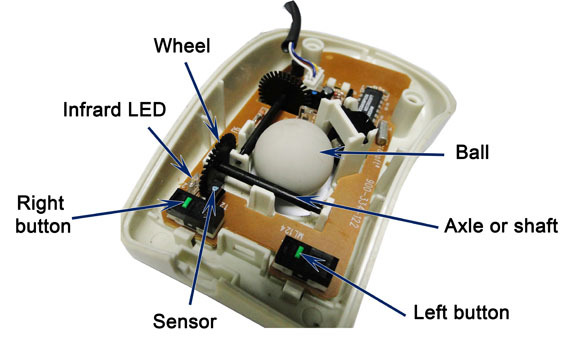 Today, ball mouse is replaced by optical types which use LED and a small camera to sense the movement of a mouse. How to connect mouse with a computer? 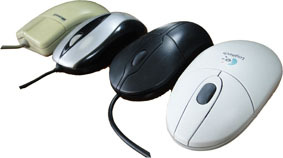 There are at least four ways to connect your mouse to a computer, though some of them are obsolete now. Serial, PS/2, USB and Cordless are the ways to connect a mouse with a computer. USB and Cordless or wireless mouse are the most dominant on the modern computers. PS/2 and Serial connection found on old systems, not on new systems. Computer mouse is a device we use daily, now a day all tasks are done by computer. And there is a daily connection with mouse.